Happy summer! Here in spoiled, sunny California things are starting to heat up. 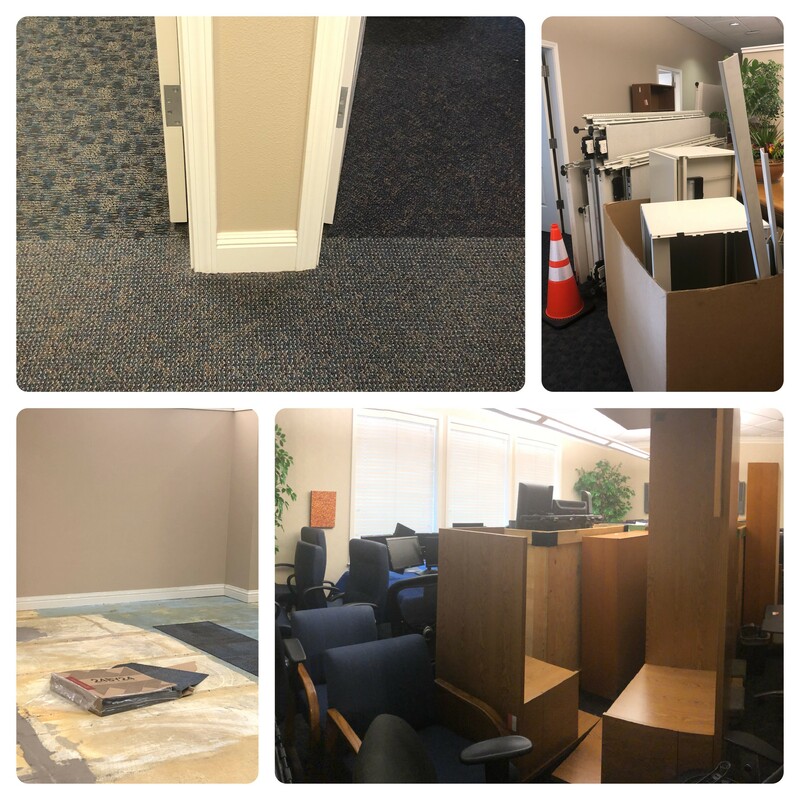 And, at my office, we are in the midst of a remodel – we are lucky enough to be getting new carpet. Over the past 15 years, with all the remodeling we’ve done, we had three different carpets in the mix. So, if you think things are chaotic at your office, just consider these pictures. My theme for my year as Chair has been leadership. Despite all the craziness that has been happening at Grimbleby Coleman CPAs, I’ve seen many examples of servant leadership. Staff are helping each other pack/move things. The carpet installation crew and moving crew are working together seamlessly and selflessly to keep on schedule and keep our disruptions to a minimum. Communication has been abundant. Examples of leadership are all around you, if you only stop to look. Firms, not-for-profit entities (NFPs), and their boards of directors will soon see some changes to NFP financial statements as a result of recent FASB Accounting Standards Update (ASU) 2016-14. The Center for Plain English Accounting has produced this report explaining the new NFP standard changes with examples to illustrate the effects of the changes. Use Exploring FASBs NFP Financial Reporting Standard ASU 2016-14 along with other resources in the NFP toolkit to understand the changes and their impacts, help train your professional staff to ensure effective and efficient implementation, and communicate with clients and stakeholders proactively about the changes they can expect. June is the time of year I really get to refocus. For me it’s all about the CPAFMA National Practice Management Conference, but you don’t have to go to be able to refocus. I’m at a small/medium size firm, so my responsibilities are varied to say the least, as I’m sure are many of you reading this. I love strategic thinking and planning, for me it’s fun and that’s one of the reasons I gravitated to this job. There are also many, many small repetitive and non-repetitive mundane smaller tasks that are part of what I do. I seem to get caught up in these. I find when I finish one thing and am ready to move on to the next , I’m usually opening that spreadsheet that needs a weekly update, or reviewing payables or some type of “task”. Then I go to the conference and I am reminded of all the big, broad, strategic issues that really need some attention and I get refocused, and somehow find room in my day to have a meeting with our managing partner about something I want to change or add on a strategic level. This “refocusing” will keep me going for months before I fall back into the tasks routine, and then June rolls around again.